If there is one style of boots we should all have in our Autumn/Winter wardrobes, it’s a pair of classic Chelsea boots. This is one style that has stood the test of time and only grown in popularity making it one of “the” styles to be seen in this season. The Chelsea boot design is credited to Queen Victoria’s very own shoe maker J. Sparkes-Hall, who claimed back in 1851 that the queen herself wore them every single day making them an instant hit with the rest of Great Britain. This simple style burst back onto the fashion scene with a vengeance back in the 1960’s when they became iconic with swinging London, worn by models such as Jean Shrimpton and bands such as the Rolling Stones and The Beatles they were soon worn by everyone. With the mod scene, taking off, they soon adopted this boot style as part of their smart and slick uniform even more so when in 1961 the Beatles had their very own Chelsea boot style made known as the “Beatle Boots”; with a slightly different look to the usual styles they included a pointy toe and high Cuban heel. During the 1970’s they went through another new lease of life when they made a surprise appearance in the Star Wars trilogy, worn by Darth Vader’s Stormtroopers, they were the same old style only made in white to give them a futuristic look. Chelsea boots are a simple yet classic boot that is ankle length, has a round toe, low heel and also an elasticated panel to help with getting them on and off. They are a close fitting style that fits snugly against your foot and ankle to create a smart, clean look. The name Chelsea boot only came about in the 1960’s, proving to be a popular boot choice among the icons of swinging London and the fashionable mod scene a shop on the old Kings Road sold only these boots, with the Kings Road being in the district of Chelsea the name soon caught on. Chelsea boots are normally made all from the same single piece of leather, it’s such a simple design there is no need to embellish it too much, it also enables the wearer to dress them up or down as they wish. Nowadays they are seen to be a smart/casual style however among the mod scene they are still chosen for their smart, durable qualities. They look amazing when teamed with a fitted suit for all you stylish men out there or tapered trousers and cosy knit for all you fashionistas. If you want a snug fitting boot that sits nicely to your ankle and foot then this is the style for you. Chelsea boots should be worn in your correct size and no bigger, there should be no gap between the boot and your ankle, they are normally a good style for being true to your actual foot size. The elasticated panel helps keep this a close fit and they normally come with a handy loop or tab at the back of the boot to enable you to pull the boots on. If you were to wear them with thick socks or tight then choosing a style slightly bigger might work better for you to ensure they don’t feel too tight on your feet when you wear them. Most Chelsea boots tend to be made from leather so it is essential to look after them correctly, dampen a cloth with warm soapy water to help remove any dirt marks, simply use a soft rotating motion to remove then use a good black or brown polish to give them a new lease of life, you can buff this into the leather using either an old cloth or a soft bristle brush. Polishing them also helps eliminate scratches and marks and gives them a super shine which adds to their smart appearance. Chelsea boots are not really thought of as waterproof, however there are more and more styles out there nowadays that do offer that extra security against the elements; however these styles do tends to be quite costly. If you are finding it tough getting this close fitting style on and off and the tab at the back is not helping you, then you can stretch the boots out slightly using a boot stretcher until you find that it is easier to get them on, remember though, they are supposed to be a tight fit so don’t overdo the stretching. The good thing about Chelsea boots as we mentioned earlier is their simple design, this is what makes them a wardrobe essential as they can be dressed up or down for any occasion. Now you might think they can only be worn during those cold months, however this isn’t the case, a pair of Chelsea boots can be a stylish alternative to wellies at a festival and they are perfect for the transition into Spring. Chelsea boots can be worn to work despite what you might be thinking, they look super smart and sleek when teamed with a suit giving you an iconic fashionable look that harks back to the cool 60’s or for all you stylish ladies out there, simply pair them with thick black tights and a jumper dress for a cool office look that will keep you super warm. If it’s a laid back weekend you are wearing them for, they look amazing with skinny jeans and cosy knit, don’t forget the edgy leather jacket and winter warmers too! For a cute and quirky look on a night out or evening at the pub with friends, they look great teamed with bare legs and understated little black dress, don’t forget to add a fedora hat and chunky jewellery to dress the look up. If the weather is warmer, style them with frilly ankle socks and bare legs for a throwback look that never goes out of fashion. They are a simple, classic style that suit all ages from young to old, play around with different textures and colours and see which style works best for you, don’t be afraid to break the rules and try something a bit different! Calling all you stylish men out there, a pair of Chelsea boots is a must have for your wardrobe so what are you waiting for? You might be thinking Chelsea boots are too smart and that you can’t wear them with jeans, but who says you can’t? Chelsea boots look fantastic when styled with jeans; why not pick a tan pair to go with your black skinny jeans for a cool, off the runway look. Throw on a cosy coat and you’re good to go. If you really want to add a stylish edge, make sure your jeans are slightly longer so that your boots sit over them. Not a fan of the skinny jean look? Fear not they look just as good when paired with your regular fit jeans; try to choose suede styles as these will give you more of a casual look that’s perfect for those lazy weekends. Want to channel your inner Mod? Do you dream of a bygone era where the men dressed razor sharp? Then why not bring a retro feel to your look by styling a pair of classic black Chelsea boots with a fitted suit, mix things up by choosing from a suit in navy, grey or even burgundy to give you a cool sixties look. Don’t forget the small details such as a skinny tie and fitted coat. It’s the perfect look for a special occasion such as a wedding or even the office. Don’t forget tan and brown styles look fantastic against different shades of blue. There are some outfits Chelsea boots will not work as well with. Shorts are a bit of a no go really, they are just too casual to work with this style and be wary when teaming them with chinos. As a close fitting boot they look better against fitted trousers however a pair of suede effect boots will work great with chinos, it’s about experimenting and seeing what works for you. Every woman knows you can never have enough shoes or in this case boots and a pair of Chelsea boots is an essential part of your Autumn/Winter wardrobe. They are so versatile they can be dressed up or down depending on your mood. 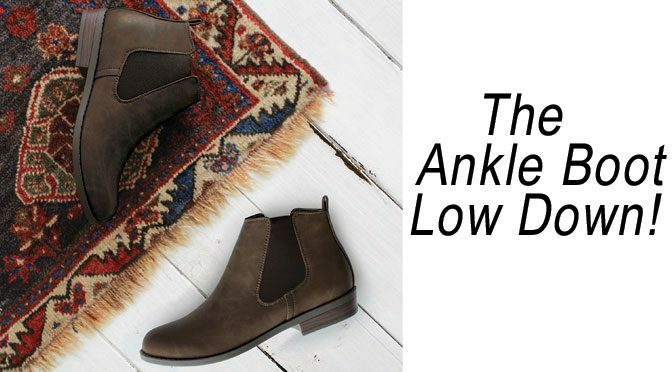 Our favourite way of styling this classic boot is pairing them with a thick pair of leggings and a warm cosy knit for a dressed down look that works for both shopping with friends or drinks with the family. By mixing things up and choosing a tan pair, it gives you a real autumnal look that screams style. If you’re looking for an office ready look then fear not, you can work the Chelsea boot for the workplace too. Choosing a pair of fitted trousers and pussybow blouse and adding a pair of black Chelsea boots will you give you a understated glamorous look that harks back to the swinging sixties, want to take the look even further? Choose a simple shift dress in a bold colour such as burgundy or mustard and add thick tights along with a pair of Chelsea boots- elegant and stylish what more could you want! Chelsea boots are extremely flattering; with their snug fitting they are perfect for creating a smooth clean silhouette and look amazing with trousers or skirts. For an evening look that will keep you warm through those cold months, pair your boots with a skater skirt and embellished knit perfect for creating a glamour grunge look. Chelsea boots don’t always have to be flat, if you’re after a going out look simply choosing a pair with a bit more a heel will give you the look you want! So what are you waiting for, give this classic boot a whirl, it might just become your new favourite. 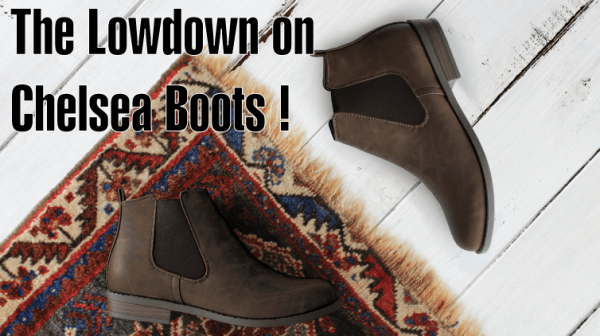 Chelsea boots are always in fashion and this season they are back with a bang! They are such a versatile and classic style they just never go out of fashion. For Autumn/Winter 2016 Chelsea boots are helping recreate those stylish looks of the sixties, they add that final finishing touch to a look that says “I’m with the band”, mix up your look by choosing bold colours such as burgundy or an eye-catching print such as animal print or floral. If a bold look is not your thing, play around with different materials, velvet is a lux material that is perfect for adding a bit of drama to an Autumn/Winter look or to play around with the retro look choose a patent pair of boots, perfect for those frosty, wet mornings. A brogue effect Chelsea boot is massive this season and is the perfect accessory for your office look or smart occasion such as drinks or party, the detailing is a unique twist to an otherwise plain boot and looks super sleek too, go for tan or brown so it really stands out. If you’re feeling brave then there are some Chelsea boot styles that have been toughened up this season with the addition of a chunky cleated sole, this adds a quirky, edgy touch to your look, pair them with jeans or leggings for a laid back look that screams style. The best part about investing in a pair of Chelsea boots is they are the perfect transitional boot that will take you from Winter into Spring, we all know that Spring in the UK can still be a bit chilly so they are the perfect style for keeping the chill at bay whilst keeping you bang on trend. So there you have it, our lowdown on one of the hottest footwear trends. Chelsea boots are a classic, versatile style that you can either dress up for a super smart look or down for casual days. They work perfectly throughout the cold months of Autumn/Winter but can also be worn for festivals come the Summer. If you want a bold look, play around with colours and prints or mix it up by choosing different finishes such as velvet or patent. Whatever style you choose you can be sure that you are getting a classic that you can wear time and time again.